As the party capital of America, you would expect your ears to be seduced by a host of sultry melodies and pumping beats, but the city is truly rocking. 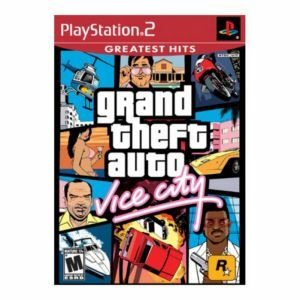 You'll be AMAZED as you sweep the through Vice City's FM dial. If you are feeling like trouble, you can tune into some driving rock, or some crucial electro, or maybe you want to slow down with some sweet soul, and there will always be some great romantic anthems if you want to really take your mind off things.